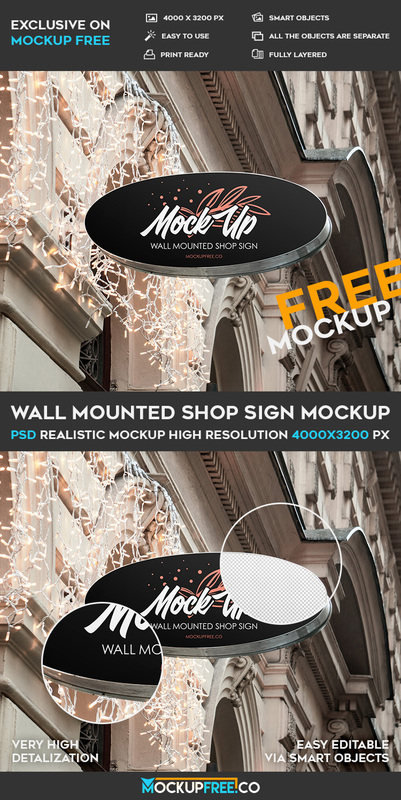 Download our new special product – Wall Mounted Shop Sign – Free PSD Mockup! This product is absolutely free and can be used as many times as necessary. Create your special advertisement and enjoy the results!